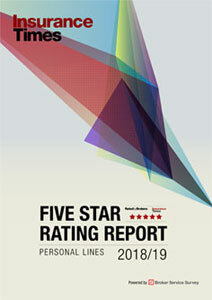 Hiscox is the only insurer to receive a Five Star rating for their claims service in the brand new insurer rating service from Insurance Times. The insurer has come out top of the pack for its claims service in the latest Insurance Times Broker Service Survey with a market-leading score for an insurer of 4.10 out of five. The insurer has also been awarded top marks Five Star rating for its claims service under the brand new rating system from Insurance Times. Insurance Times content director, Saxon East said of Hiscox’s table-topping performance: “They say that claims is the shop-window of the insurance industry, and with their performance in the latest edition of the Broker Service Survey, Hiscox have been placed front and centre. 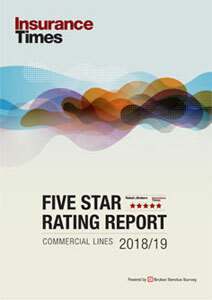 Each insurer’s Five Star rating has been awarded following an in-depth statistical analysis of hundreds of broker responses across the whole spectrum of UKGI, all completed by our in-house team of researchers following extensive research into what is important to brokers deciding where to place their business. Brokers wanting to find out more about how their insurer partners have performed, including Five Star ratings of overall performance and claims service, can access the brand new micro-site for free, where they will also be able to read selected verbatim comments of how insurers have performed over the last 12 months. Click here to see Hiscox’s Five Star rating and have your say! Brokers will also be able to leave their own comments on how their insurer partners have performed, either on a named or an anonymous basis, with the site regularly updated with the latest comments so you can see a real-time overview of how each insurer is performing.